Our Pipe Clamps and Shoes are easily installable using bolting, which offers a high degree of flexibility. Our wide range of Pipe Clamps, pipe shoes and accessories are quickly and efficiently fixed to our Mekano® triangle support channel offering high loading capacity whilst delivery flexibililty and adjustment options. We use P4D to pre-engineer our systems. All our typical piping support solutions are pre-engineered. The need for further calculations in PMO projects will in many cases be unnecessary. All typicals are supplied with relevant documentation. 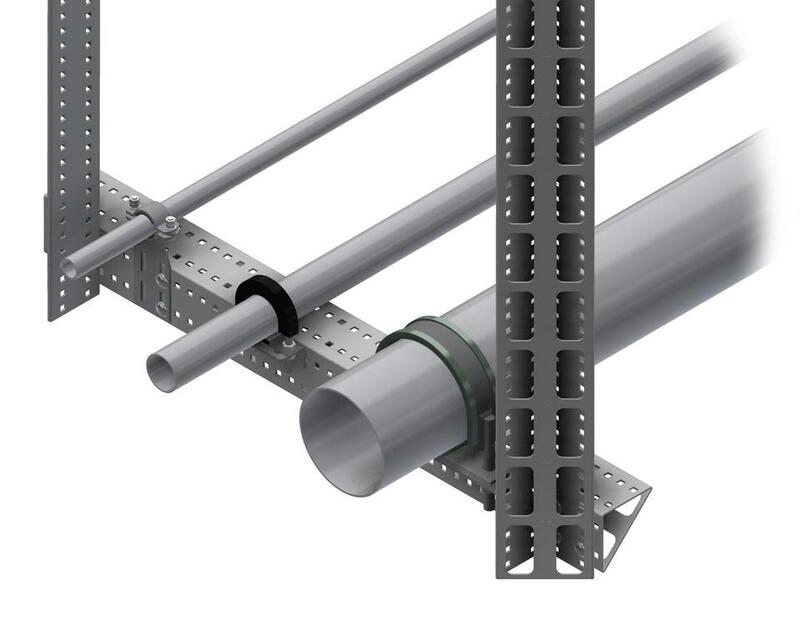 Our Nonie™ system is designed to allow adjustments in smaller increments than our channels normally would allow. 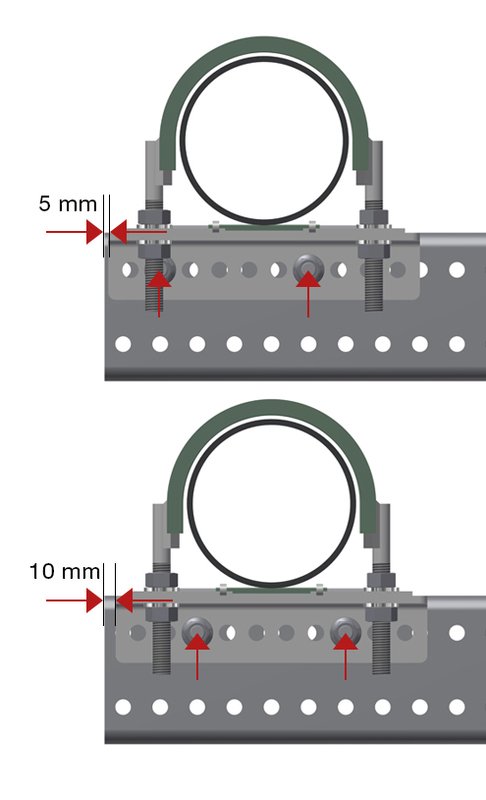 By moving the bolts from one set of holes to the next, the detail with the Nonie™ system will move in 5 mm increments. Our Pipe Clamps and Shoes are designed to be fully compatible with our Mekano® channels, either by bolting directly in the pre-drilled holes or by using an adapter. The design also ensures they are easy to install without having to weld, and therefore maintain a high degree of flexibility.